Interested in adopting a pet -- or just looking at some cute puppies? Good news! There are dozens of puppies for adoption at animal shelters in and around San Francisco. 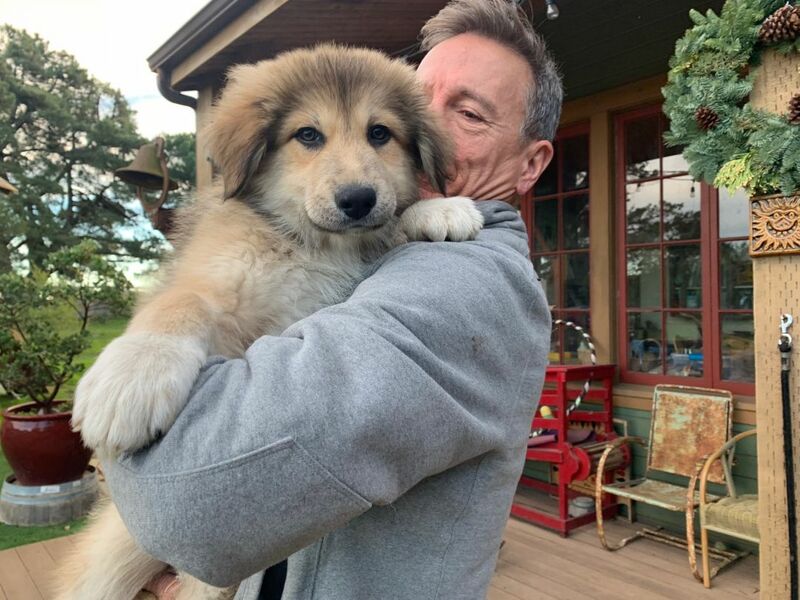 Animal shelters work hard to care for unhoused pets and connect them to loving homes. Hoodline used data from Petfinder to power this roundup of puppies currently available for adoption. These big pups are female husky & German shepherd mixes living at Bad Rap in Oakland, CA. They're all spayed, and they get along well with other dogs and children. "Adorable, right? These mixed-breed pups came from a hoarding case, but have been handled and spoiled since birth and are well-adjusted and social. Their parent dogs are 60 lbs and 75 lbs." Read more about how to adopt at Petfinder. Kona Coffee is a tiny pit bull terrier currently living at the California Pit Bull Rescue in Oakland, CA. Her vaccinations are up to date, and she gets along with other dogs, cats, and children. "Kona Coffee is a tiny, cutie cuddlebug! She loves being the center of attention and is overall an easygoing gal! 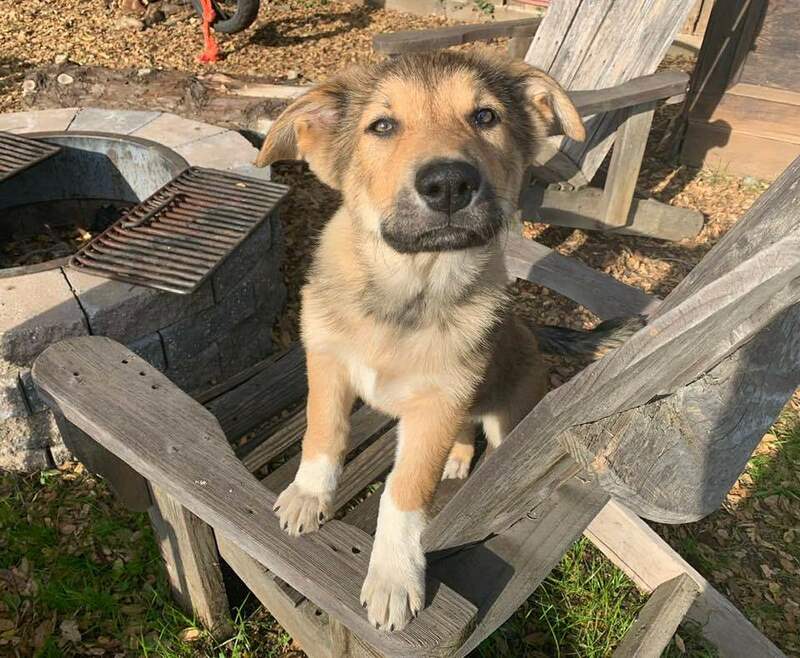 Kona was born on Jan. 1, 2019 and she is currently being fostered with two small dogs, a big dog, a kitty, and two birds, and doing well with everyone. She is crate-trained and working on potty training, with lots of progress. She is healthy and happy and ready to find a family of her own!" Sutter is a male pit bull terrier and shepherd mix currently living at the East Bay SPCA's Oakland Adoption Center. His vaccinations are up-to-date, and he's neutered. 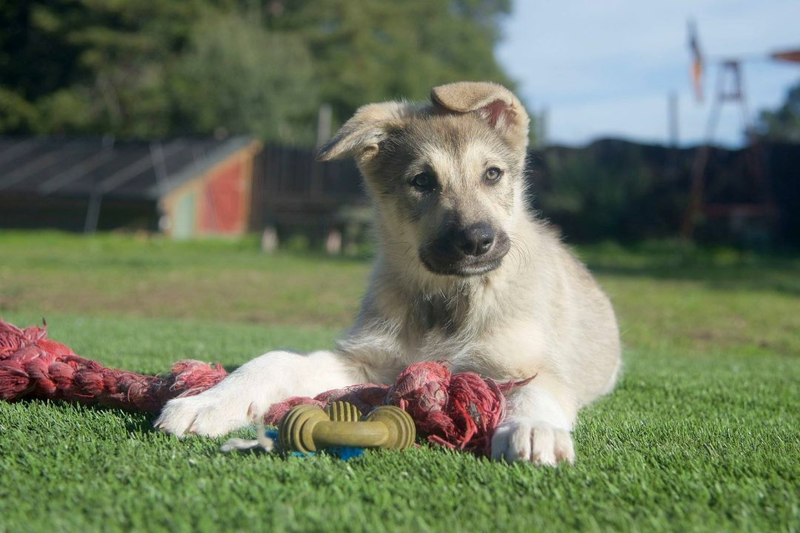 "Sutter is a pure gold kind of pup. This is a mighty little man with energy to burn. He loves to play chase-and-mock-attack with tennis balls, and he needs a family who can give him lots to do, lots of activity and new things to learn. Right now, like a kindergartner, he's has those feelings from the first day of school when you're nervous, not being sure where to sit, when we eat or even if it's really OK to grab a toy and give it a wild ride. What he needs most is a person he can totally trust, to show him how to be a great dog. Will you be his mentor and guide? Meet sensational Sutter at the East Bay SPCA." Rico is a playful boy living at Stonecliffe Animal Rescue in Dublin, CA. His vaccinations are up to date and he's neutered. He gets along well with other dogs. "I'm Rico and I'm a single pup that came from Fresno Humane. 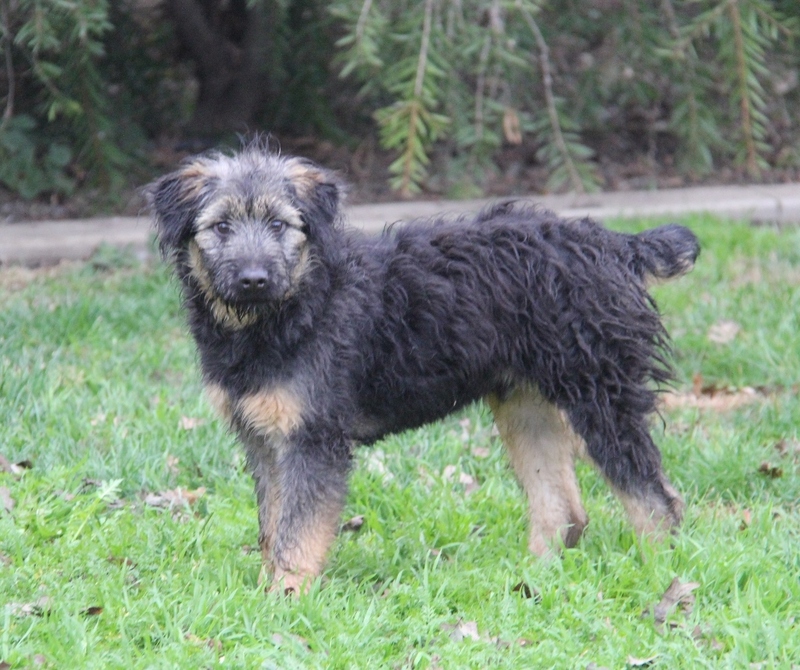 Not really sure what breed I am, but I'm going to be a beautiful, large, fluffy mutt. I'm a good boy, but I do need training, discipline and love. I'm the big guy who always gets picked on, 'cause I'm so sweet." Simba is a curious little girl currently living at Unidos Para Los Animales in Kensington, CA. Her vaccinations are up to date, and she's spayed. She gets along with other dogs, cats, and children. "*Thump thump thump* Oh good morning! Did my tail wagging wake you? I'm so sorry... it's just that it's the weekend and I thought you might like to spend it with me! You know, snuggling on the sofa, taking a walk in the sunshine, feeding me snacks, that kind of thing. We could do it together. You'd love it. And... well... I'd love it, too. I am Simba and I just about 6 months old, which is certainly old enough to know my perfect person when you come to find me. I have a LOT of personality and I am very sweet and very smart. I am also an extremely good cuddler and snuggler. I love to play those games where I do things for you when you ask me to (like sitting down), and you feed me delicious snacks and tell me how smart I am. I could play games like that all day. Do you know how to play those games? If not, I can teach you. Did I mention that I am very smart?" Read more about how to adopt on Petfinder. 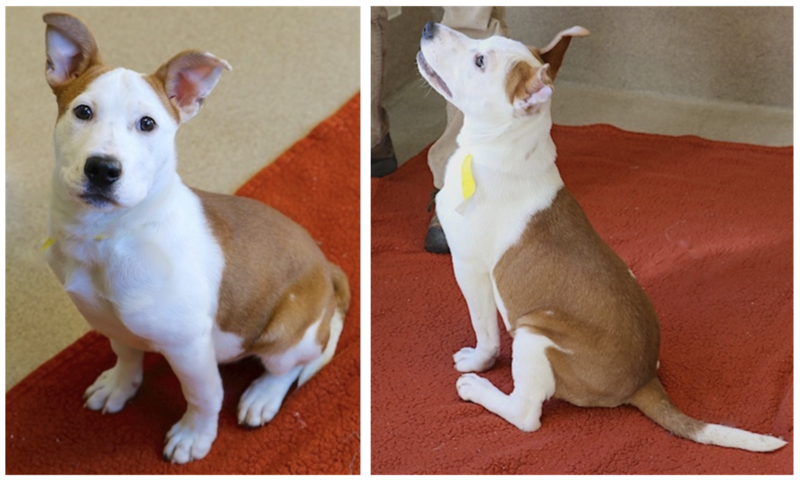 Hobbes is a boxer & Labrador retriever mix living at Pound Puppy Rescue in Redwood City, CA. He's neutered, and his vaccinations are up to date. He gets along well with other dogs. "Calvin and Hobbes have arrived! 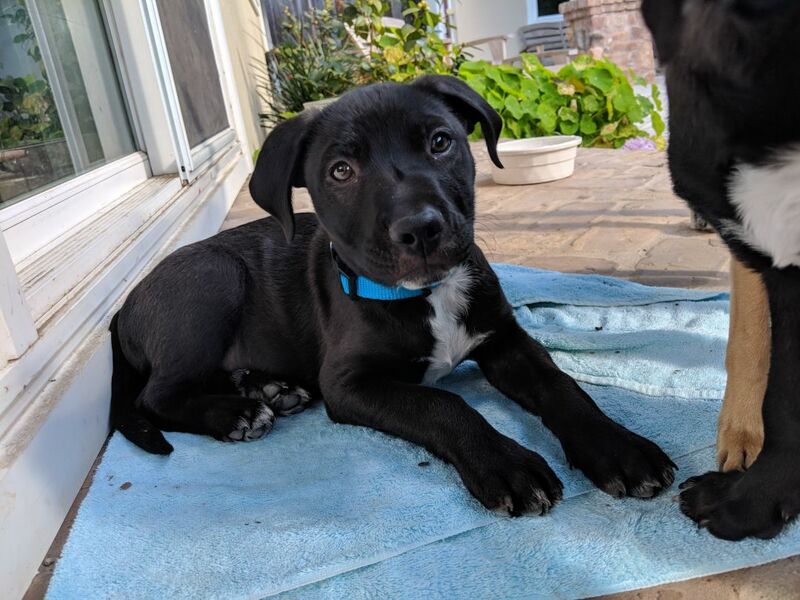 Born November 27th to a boxer mom and a labby dad, these two brothers are super sweet, loving and playful puppies who have traveled a long way to find a family of their own. Hobbes is a handsome, muscular and velvety-soft little guy. Treat-motivated, curious, and silly, Hobbes is sure to teach you the best parts of living. He loves snuggling and getting close, when he's not searching out toys and playing with his brother and resident dogs. Hobbes is ready for his family. Is it you? Apply!"